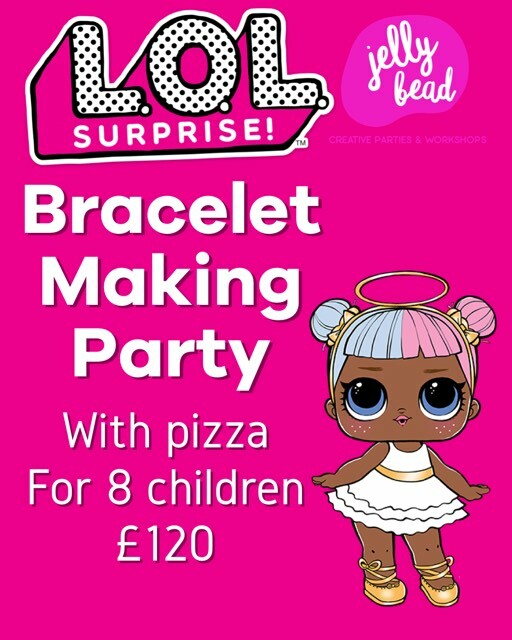 Come and join in the fun at Jelly bead workshops! We are based on Abbeydale Road within Frankly my deer. We teach Children how to make crafty things. 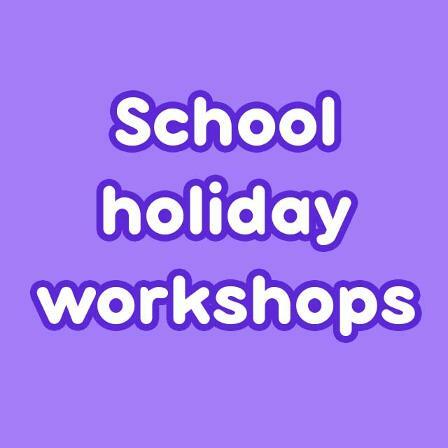 Our workshops range from card making to our very popular slime workshops. We are available for private parties, birthdays and much more. 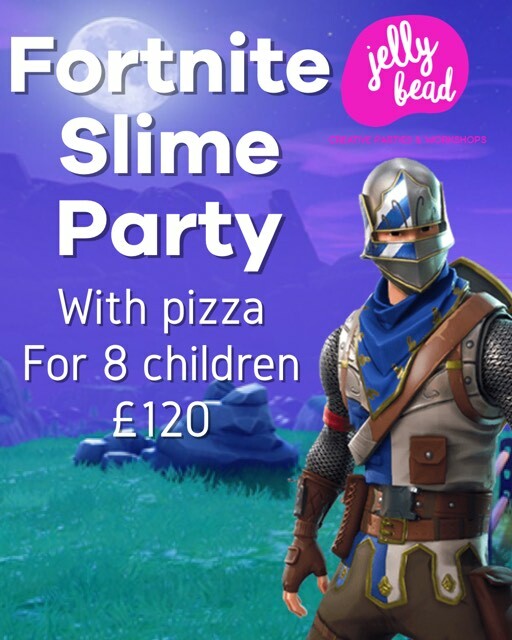 please visit our party page for more details. Our workshops are extremely popular and fill up quickly as space is limited, please book early to avoid disappointment. 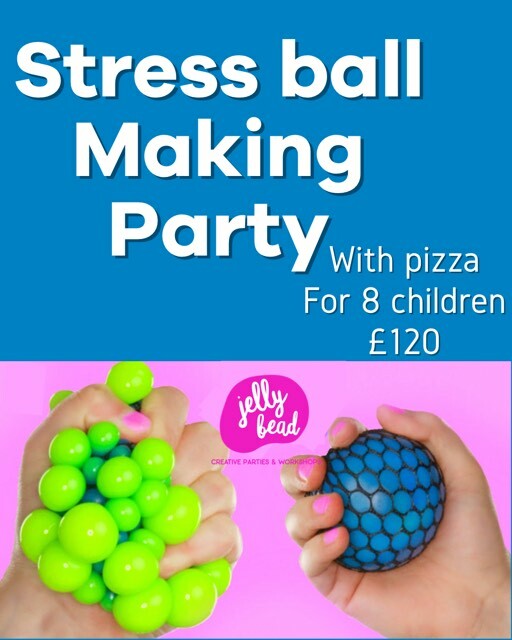 Parent's sit back and relax when you book a party at jelly bead, We take care of everything. children love our parties and their partywill be the talk of the playground! We understand how stressful kids birthday parties can be for parents, so we can take care of as much or as little as you would like us to. 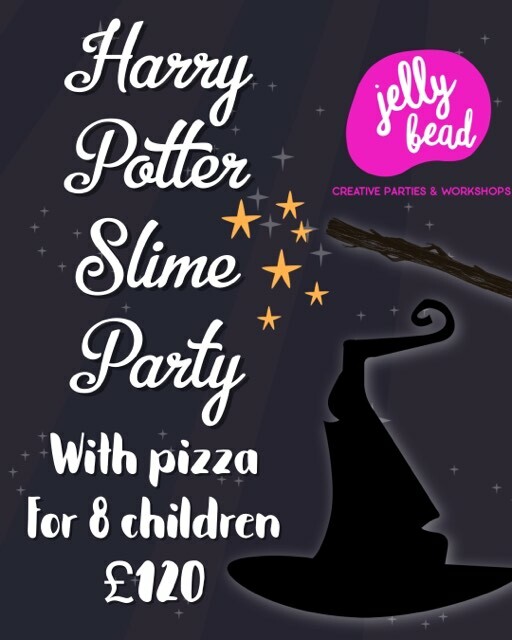 We make slime in our workshop and then the children eat in our coffee shop next door. 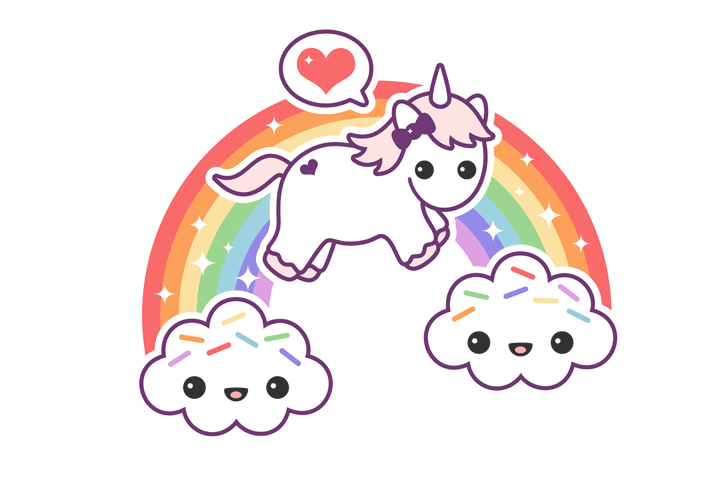 The pizzas or afternoon tea or our fab new unicorn burgers are all freshly made. We can provide Birthday cakes, party bags and even invitations. 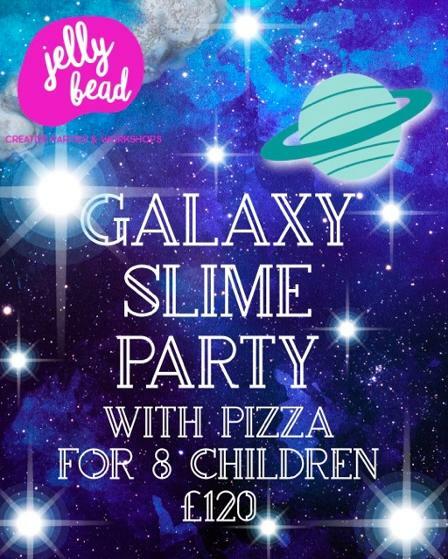 Our parties are fun and creative, We have had over 100 parties in Jelly bead in our first year alone. Parents and more importantly, children go home with big smiles on their faces! 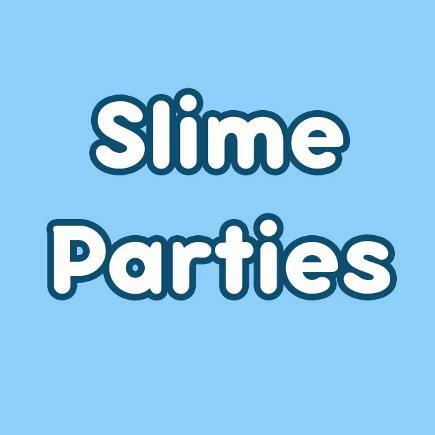 We make every slime the kids could hope for, We cover some of the popular youtube slimes and we have stocks of glitter, scent, floams, clay, artificial snow, beads, pearls, sequins, gems, paint and more. Our New craft workshops are here! lots of fabulous new parties and workshops, from terraniums to totebags, fairy gardens to peg by planes. 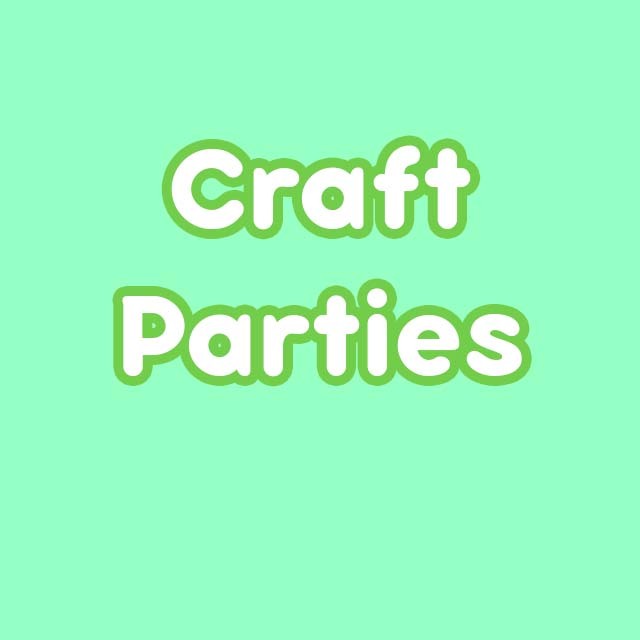 We will be adding new crafts all the time. 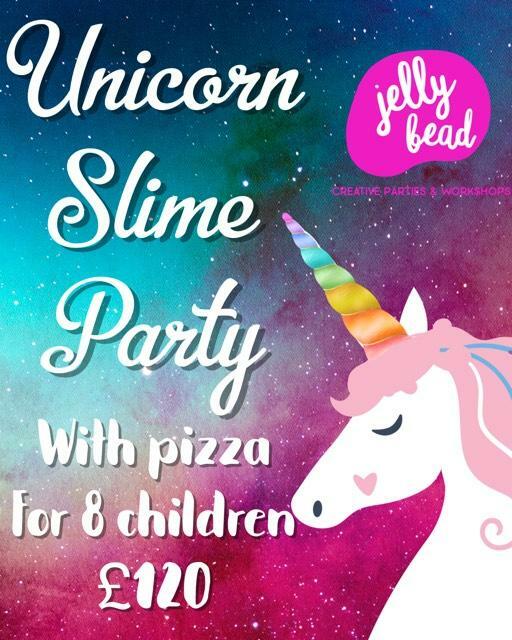 If you have a theme or craft in mind which we dont currently have, don't hesitate to get in touch and we will try our best to turn your ideas or theme in to a party uniquely made just for you. School holidays are fun, amazing times to build memories and spend time with your little ones. We know how much you love them. We also know how demanding they can become, the pressure of finding something fun, interesting and engaging to do. Want 90 minutes off? Want to read your book or have a coffee with friends? you get 60 - 90 minutes of pure freedom! Safe in the knowledge that your little ones are having a blast and you get a little time alone! You are of course welcome to pop back anytime and see how much fun we are having.